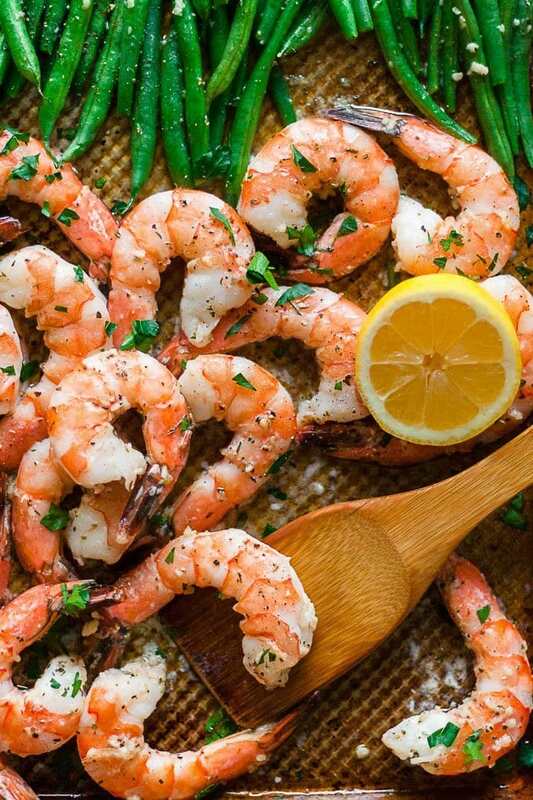 Healthy sheet pan shrimp with green beans and garlic butter! Healthy, delicious, and made on a single sheet pan in under 30 minutes – dinner is served! 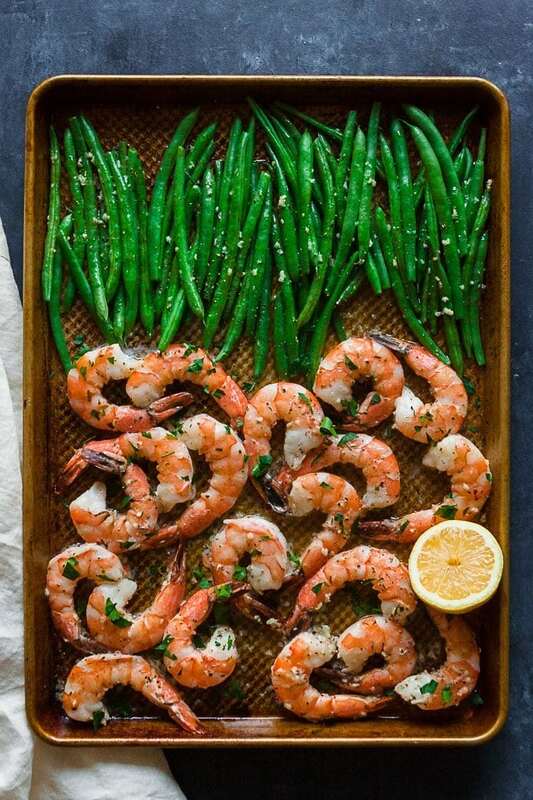 SHEET PAN SHRIMP AND GREEN BEANS WITH GARLIC BUTTER!!! In case you missed the memo, this entire month, I am sharing sheet pan meals here on Hungry by Nature. First up was my Sheet Pan Breakfast Bake, then my Sheet Pan Moroccan Chicken and now sheet pan shrimp! Quite the lineup, if I do say so myself. made on a sheet pan! duh. one pan and barely any dishes. dinner is on the table in under 30 minutes! 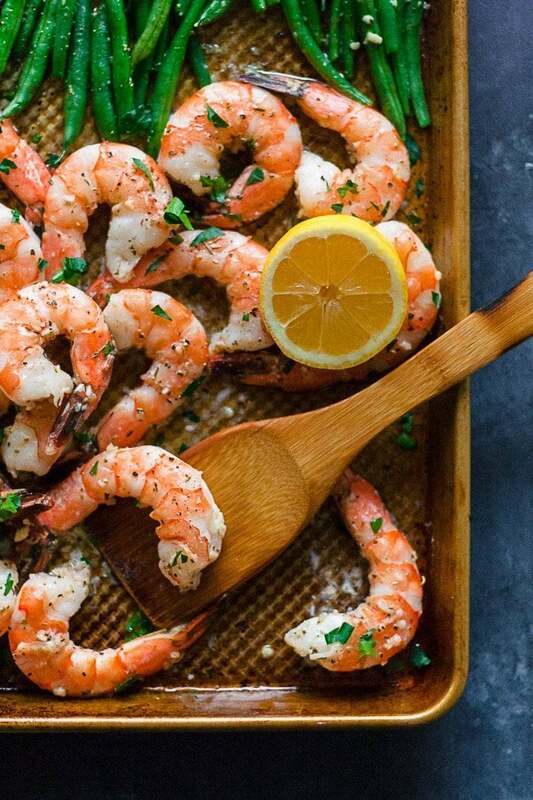 honestly dinner could be one the table in 15 if you can find already peeled shrimp. FLAVOR CITY. Gosh, I just love simple foods with fresh flavors. Butter, garlic, and lemon are the heavy hitters here and I’m all about it. This sheet pan shrimp and green beans totally delivers. The ingredients list is short and sweet, but each one packs a mean punch of flavor. Some tips for making this sheet pan salmon and green beans even better… buy already peeled and deveined AND use really good grass-fed butter. I’m all about that Kerrygold! 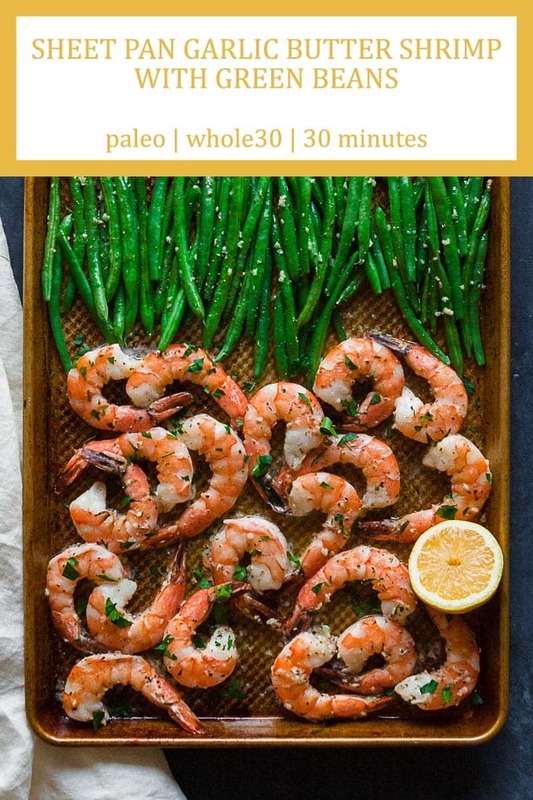 If you are looking for a super simple dinner recipe, I hope you try this sheet pan shrimp and green beans! When you make this recipe, remember to tag @imhungrybynature on Instagram! In a large bowl, whisk together butter, garlic, lemon juice and Italian seasoning, seaons with salt and pepper. Add shrimp and green beans, tossing until fully coated. Place shrimp and green beans on a sheet making, making sure the shrimp is in a single layer. 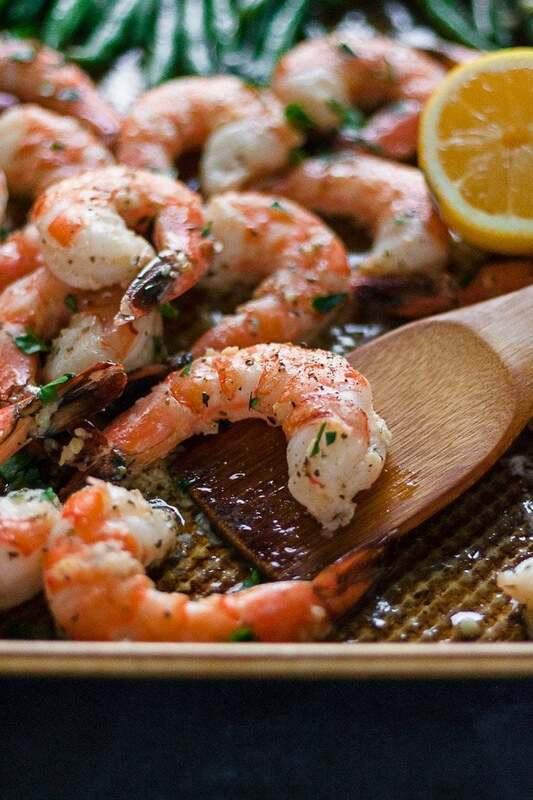 Place into oven and bake until shrimp is just pink, firm and cooked through, about 10 minutes (for large shrimp). Garnish with parsley and an additional squeeze of lemon juice and serve immediately. Use ghee for Whole30 compliance. Make sure to pin this recipe for later! And check out all the yummy recipes I’m pinning HERE!